How smart cities more effectively alert their citizens with IoT, mapping and an automated warning system. More and more people are affected by floods. The human and economic costs are enormous for society. Technology is now providing new ways for authorities to manage communications with their citizens in an emergency. When dealing with a flash flood, the automation of processes becomes necessary in order to effectively alert the population. 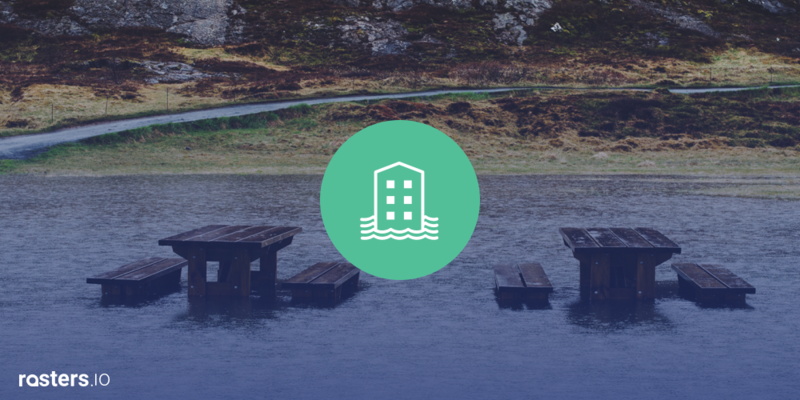 This efficiency limits the flood’s impact on people and property. 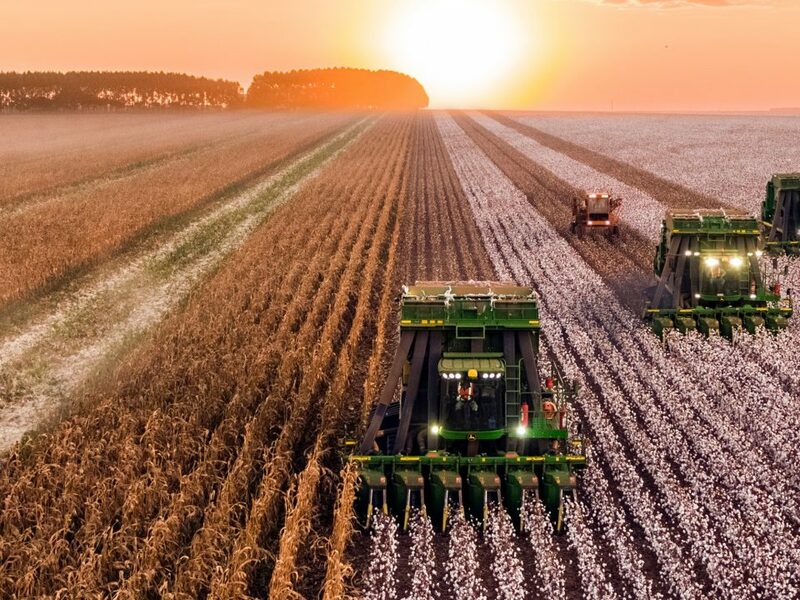 The following case demonstrates how by using sensor data provided by Hydro-météo, Sutron or Paratronic, the Rasters.io platform can trigger alert campaigns in systems such as Twilio, Somum and Nexmo in a fully configurable manner. The purpose of the project is to alert citizens with a telephone message when the water level of the stream near their home reaches a threshold that may cause flooding. In addition, the inhabitants of different geographical zones are warned according to the level of alert. When the water level of the Beaurivage River reaches level 1, the inhabitants of zone 1 are alerted with the following message: “Warning, … the municipality wishes to warn you that the Beaurivage River has reached a level of water that puts you in a state of alert. No evacuation is planned at the moment but plan on placing your belongings in a safe place.” Then, the call system asks the citizen to press 1 if the message has been understood. Automation processes and an automatic calling machine. The controller initiates the call campaign with the message corresponding to the alert level. Authorities can follow the development of the real-time call campaign on the Rasters.io map. Circles appear when a call is waiting (red), in progress (yellow) or completed (green). First, a connector for acquiring gauge data is configured in Rasters.io. The platform supports several types of connections for data acquisition (see blog about connectors for more details). In this case, the data comes from a database accessible via an HTTP REST API. If no connector can meet your needs, the Rasters.io team can quickly help you define one that will. 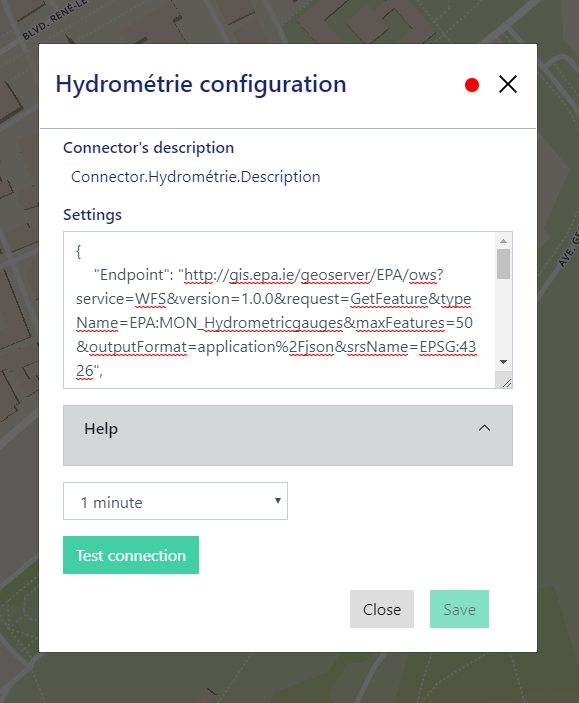 In Rasters.io, an IoT layer is created and named “Hydrometric Gauges“. 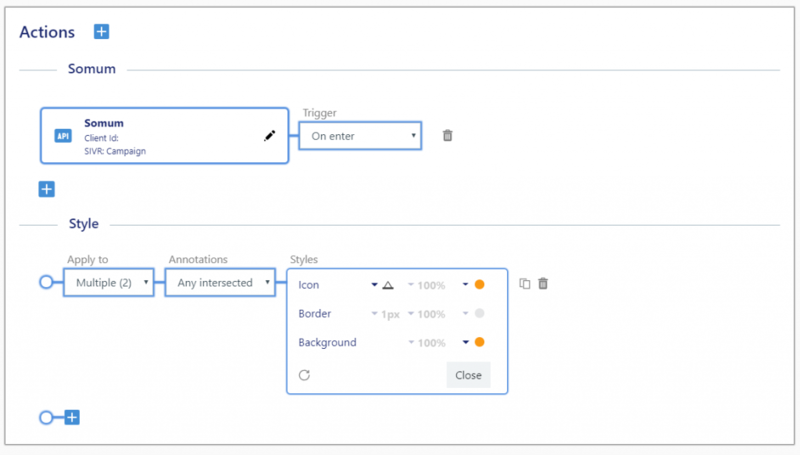 The REST API connector is selected and configured. This connector connects to an HTTP REST API to retrieve gauge data every 60 seconds. When the connector is properly configured, the gauges are automatically displayed on the map. Since this type of sensor does not send a geographical position, the gauges are initially set to 0.0 (in the center of the map of West Africa). Using the mouse, users can place the devices in the right places manually on the map. By default, the gauges send a lot of information and some are irrelevant to current use cases. In addition, the properties of the device are difficult to read. 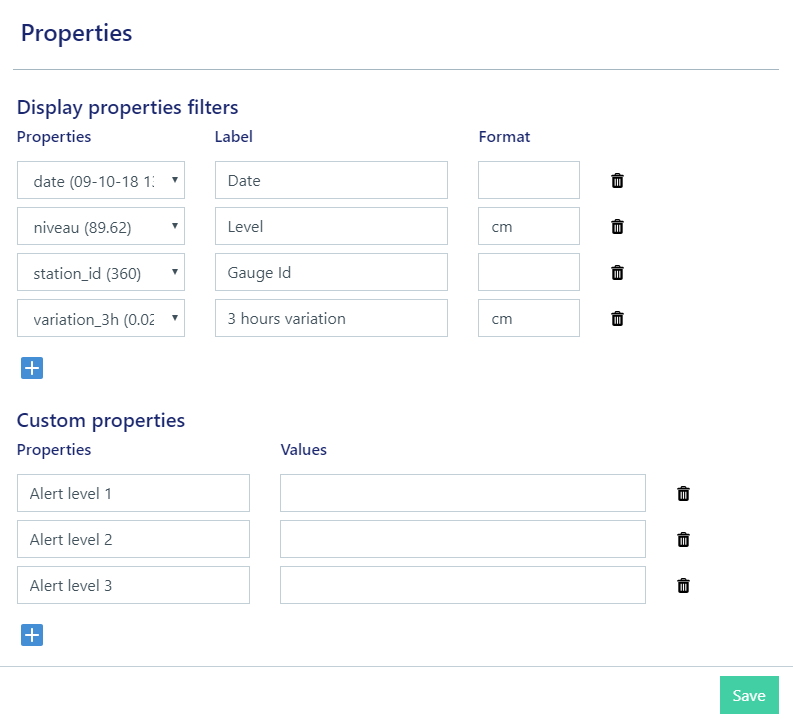 To display only useful information and improve visibility, the IoT Layer Properties panel is used. 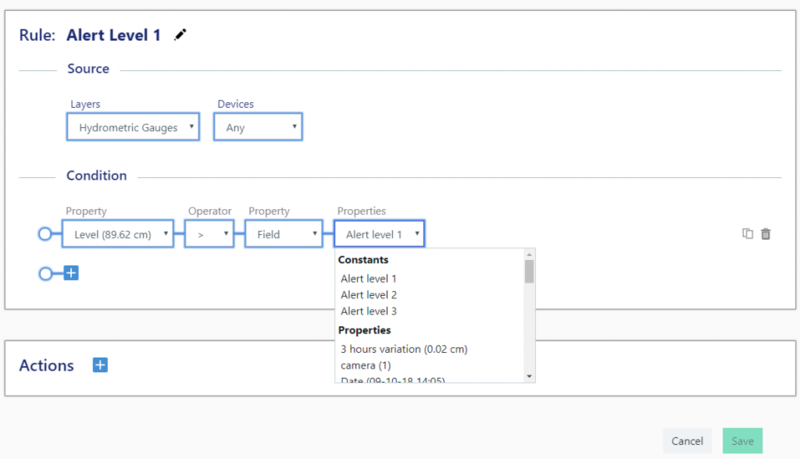 In addition, customs properties have been created representing the 3 alert level. Theses properties will be manually defined for each device. These values represent the threshold water level for each alert. Thus, when the user clicks on the item, only the selected information will be displayed in the tooltip (see the following image). The next step is to configure the different geographical areas corresponding to the different alerts. Thus, when the gauge 1 reaches alert level 1, the inhabitants of the zone 1 must be warned with a personalized voice message. To create zones, add an “Annotation” layer and start defining areas with the “Polygon” tool. See the tutorial “Annotation” to learn how to create and edit annotations on the map. The final step is to configure the link between the IoTs water levels and calls to citizens in different areas. To do this, we will use the Rasters.io rules engine and the Somum Communication automatic calling solution to make the calls. You can also use another phone system of your choice. When this condition is true, the actions will be executed. Now add a “Somum” action and enter the parameters of the call campaign to be executed. The Somum communication system allows you to define a call campaign ahead of time with a recorded message and several other parameters. This campaign can then be referred to Rasters.io using its customer number and campaign number (SivR). 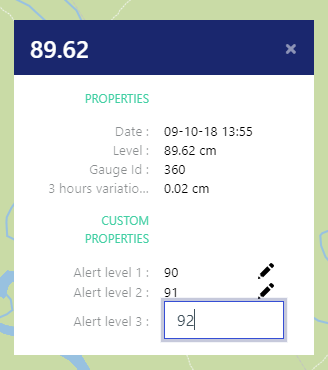 So when the level of the gauge has reached 90 cm (Alert level 1 of the gauge 1 for example), the “Campaign” campaign will be launched and will call all the inhabitants of zone 1. In addition, it is possible to add an action to this rule so that the corresponding area on the map and the device change color. To do this, add a “Style” action and specify which element to apply the new style to. In this case, we have selected “Source” and “Flood Zone“. We then selected the style to be applied. So when the rule is true, the corresponding gauge will turn yellow (this is the “Source” of the rule) and the intersecting zone will also turn yellow. When the rule no longer applies, the zone and the gauge will return to their original styles. The system is now fully configured and calls to citizens are fully automated. 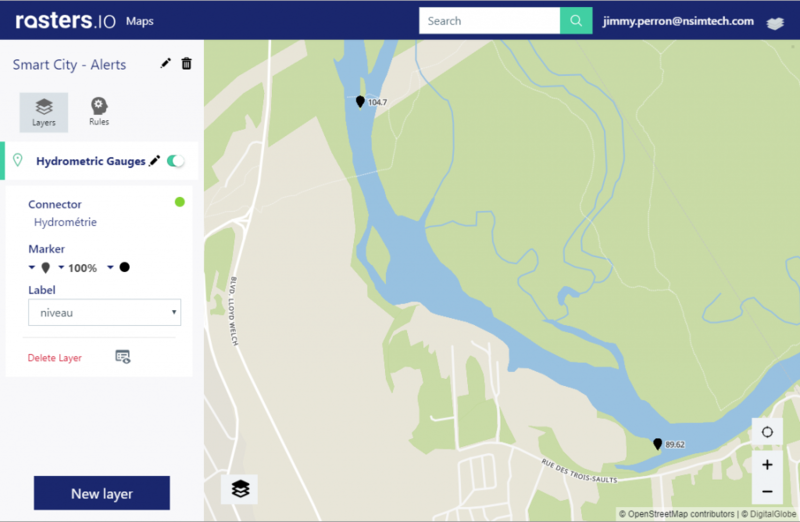 Smart City now has a new ally for connecting paring objects, mapping, and automated notifications. Today, citizens are able to quickly receive relevant information about themselves and take action without delay. 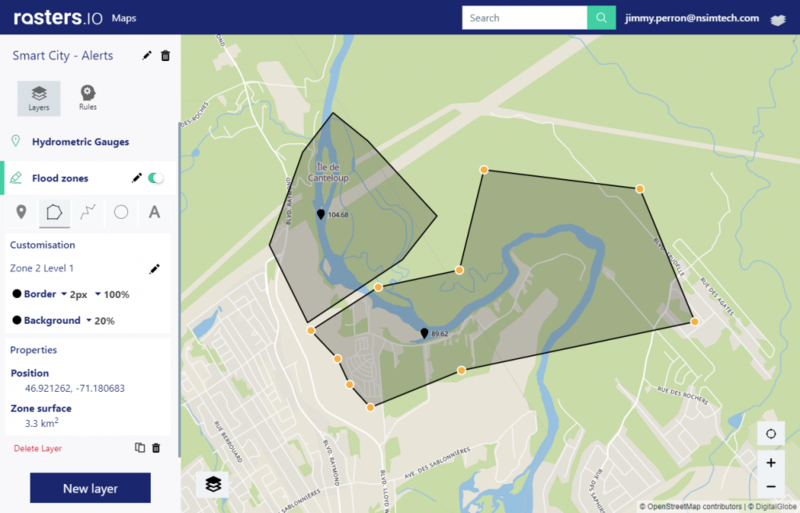 For its part, civil security can devote slightly fewer resources to monitoring in the field and can monitor the evolution of several sectors in real time. Try Rasters.io now and discover all these possibilities. Do you need a connector to IoTs in your organization or a specific action to one of your internal systems? Contact us! Our team will guide you in developing your project.